The future is now folks! Living Proof Creative has spent 40 years (collectively) in the digital realm, mainly in development and growth of eCommerce platforms and sales solutions. Over the years, we’ve translated entire business models for the online market, and helped quite a few companies to establish sustainable growth. Every industry, and niche, comes with its own myriad of challenges and obstacles, and every market needs a custom tailored solution that will fit their needs. However, some things never change. The ease of your online business relies mainly on your ability to manage your inventory. Failing to set up a good inventory management system before you launch your business can result in a variety of complex (and sometimes very annoying) problems. Regardless of the size of your business, the customer base you serve, the types of products you sell, or your expertise – understanding the ins-and-outs of inventory management is one of the first challenges you have to tackle, if you are looking to build a scalable, profitable, and sustainable business process. It’s eCommerce 101, but that doesn’t mean it comes easy. Setting up a inventory management system can take a fair bit of planning, and it’s a definitely a slow learning process as you never know what the season and the competition on the open market will have in store for you. In fact, let’s explain why the following 18 steps may prove to be vital for your online success. Today’s shopper expects online purchasing to be as seamless as buying an item in a brick-and-mortar store, if not more so. The younger they are – the more simple and smooth the whole experience has to be. Thus, companies have to be efficient – ship products fast, ship cheap (or preferably free when possible) if they want to stay competitive in their industry. Building a quality front-end website and integrating it with a back-end accounting and inventory solution is the best way to manage the online buying/selling processes efficiently. This is where a good online inventory management system comes into play. Let’s simplify it, shall we? Real-time inventory information has to be available before any online purchases occur. When you receive new inventory, you must update product quantities in your website’s inventory system. The data is then pushed online for all customers to see. Once a customer places an order online, that order goes directly to your inventory system to be reviewed. If the order meets certain predefined criteria, the inventory management system marks it as “ready to ship”. When an employee receives the order, they use verification scanning or mobile picking devices to ensure the right item gets shipped. Of course some still choose to rock it old school using a pen and paper, which works too. Then the product is prepared for shipping; the shipping documents are processed, printed and marked; and the customer is sent the information through the inventory system via email. 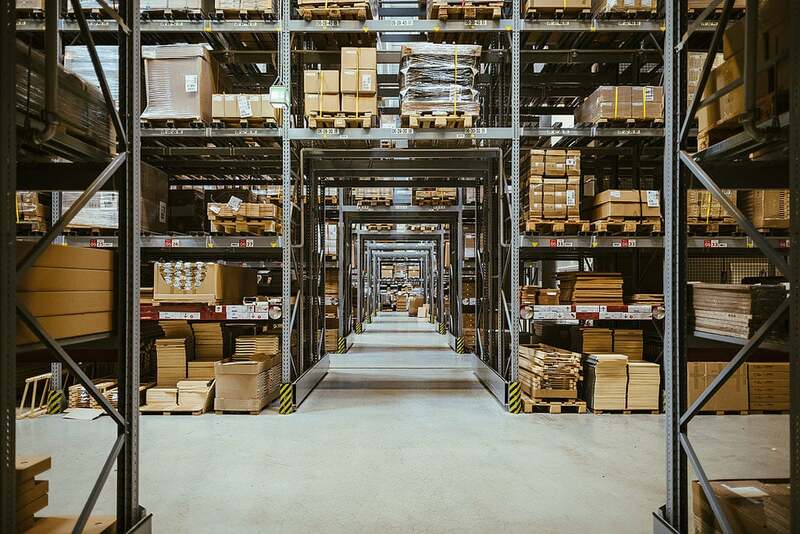 Without a properly set inventory management system, sales orders get missed, the wrong items get shipped, inventory quantities are incorrect, customers get frustrated, and ultimately you lose sales. Before you even launch an eCommerce business, your inventory management system must be in place. Use data to plan ahead and calculate the right range and quantity of products to have on hand throughout the whole year. Look at your annual customer order numbers, or projections, and break down the numbers into volumes (daily, monthly and quarterly) to identify the highs and lows of customer demand. Next, calculate the stock volume you’re likely to need in case customer demand happens to increase. To determine the right volume of products you’ll need in stock, review industry data, keep track of the latest consumer trends, and analyze your sales in previous years. In order to stay on top of your stock supply, estimate how quickly you can replace declining stock levels, and whether you have enough safety stock for a sudden spike in customer demand. Not having a product immediately in stock is a sure-fire way to lose a sale. It’s functional feng-shui. Arrangement of your inventory makes a huge difference. Lay it out so your in-demand products are within easy reach. Set up your warehouse to make the best use of it. Store all the less popular products in farther or harder-to-reach areas. Every second counts in the race to deliver products in this instant-gratification based society. Reduce shipping time and bring products closer to customers by storing some of your inventory off-site near your local postal service or shipping company. You can even consider setting up regional hubs. This is an important one. Your inventory software needs to process and display information in real-time. This will enable you to access accurate stock data at any time. 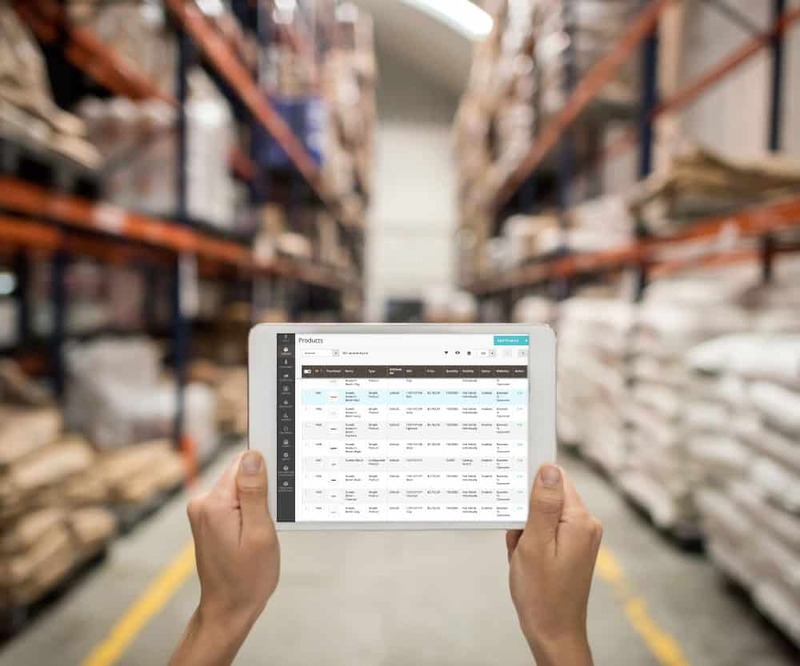 Make sure the online inventory software of your choice identifies out of stock items, alerts your website immediately, updates your stock levels whenever an item is taken off the shelf, and tracks a product during shipping to provide an accurate delivery time. It takes some time to recruit, hire and train new staff, so you need to start planning ahead of time. For example, most eCommerce websites do up to 40% of their annual sales during the Christmas holidays. This means that you should start planning everything in June. How much does shipping and handling affect your revenue? A good inventory management system is should be able to accurately calculate and factor in all costs. In order to estimate your ROI, you should make sure that the cost of shipping and handling stock is tracked by your inventory system. How low is too low? When setting minimum stock levels for every item you sell, you should determine the lowest possible inventory you can have in order to avoid fulfillment delays and meet demand. 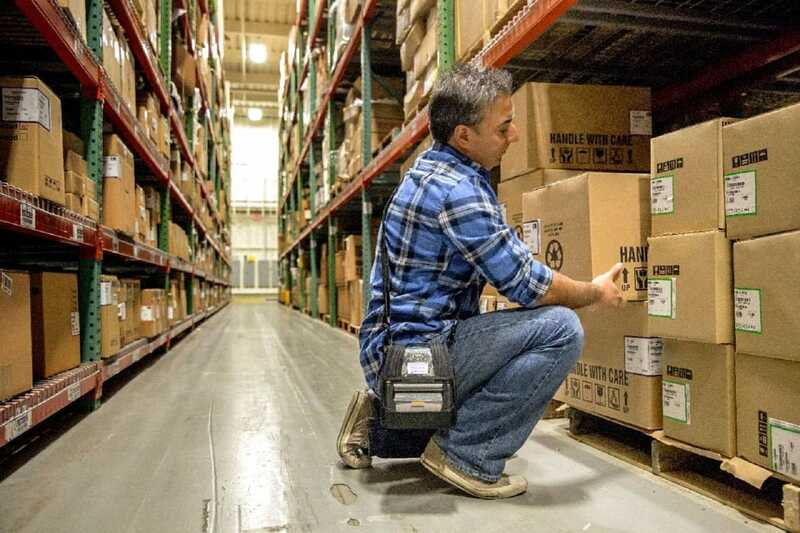 Analyze your data and determine the exact amount of time it takes to replace the out-of-stock inventory. When it goes below a designated number, contact your wholesaler or manufacturer to place a new order. As your customer demand and experience grow, adjust this number over time. In the chaos of shipping and handling, things can easily go missing. Designate 2-3 employees to manually count your stock and crosscheck it online weekly. Using the same employees every time will increase production, speeding up an otherwise tedious process. It’s important to find the right amount of stock needed at all times. You can’t afford to have too little or too much stock in hand. Not having enough stock volume will cause a break in the turnaround of products and money (not to mention dissatisfied customers and bad reputation), while extra stock costs you and takes up room in your storage space. The longer your products sit there, the more their value decreases. Keep track of your product’s turnaround rate and use the information to adjust the volume accordingly. Make sure that you have 30 days of inventory in stock at all times. Inventory keep you on your toes! Whenever an item goes out of stock, it becomes a lost sale, which means a lost customer. If you do run out of an item, respond as quickly as possible. And remember to inform customers about the out-of-stock product from your eCommerce store by posting a notification on the product page as to when it will be back in stock. Take backorders and complete them when the product comes in. Always monitor your in-demand products closely to know when to replenish stock.You must have a good grasp on the shopping habits of your target audience and your inventory. Otherwise you risk overestimating how many items you really need in stock, or underestimate the demand. As you probably already know, buying inventory in bulk usually gets you a better price per item. However, if you already have stock sitting on your shelves, buying in bulk will just pile on more and you risk being overstocked. Buy in bulk only if your forecasting results prove that the profit margins can cover the storage fees and the needs for that amount of stock. Picking a software that’s right for you is one of the most important decisions you’ll make when it comes to your online inventory. There’s a variety of quality inventory software on the market. Choose one that is best tailored to your business. Determine your needs and choose one that meets them the best. Some good ones to consider are: Channeladvisor, Seller Cloud, nChannel, Stitch Labs, and 4PSite. Be sure to chose one that links your payroll and accounting software and other relevant systems. Ask your consultant or the software manufacturers for some advice if you need it. Today, customers value communication more than ever. Once they purchase a product online, they want to know what’s going on with their order from the moment they pay for it, to the time it’s delivered. You should opt for a system that acknowledges payment receipts, as well as shipping and delivery details. Make sure to give your customers the ability to track their orders. If there are any events or trends that may influence your target audience’s purchase behavior, you need to be aware of them. For example, back-to-school and Christmas may cause spikes in buying. Around Valentine’s Day there’s an increase flowers and chocolate sales. And don’t forget Black Friday and Cyber Monday. Prepare to throw in some discounts and have enough products in stock to gear up for the seasonality. With accurate and up-to-date information, you will manage your inventory more effectively. It’s very ease to let record-keeping slip, even if it seems obvious. Check the status of your inventory daily, and even several times a day when it’s a busy one. If you’re just starting your business, it may be a better and more viable option to use an eCommerce selling platform, such as Amazon. It is already established as a selling platform which allows you to reach customers through advertising or sell directly through its webstore. This can be a good way to get access to millions of their customers and see how the market responds to what you have to sell. Investing in the right inventory management software is necessary if you want to build and scale a successful eCommerce business. Some of the tips mentioned above can be manually worked through, but it won’t work to your advantage when you will want to scale your business. 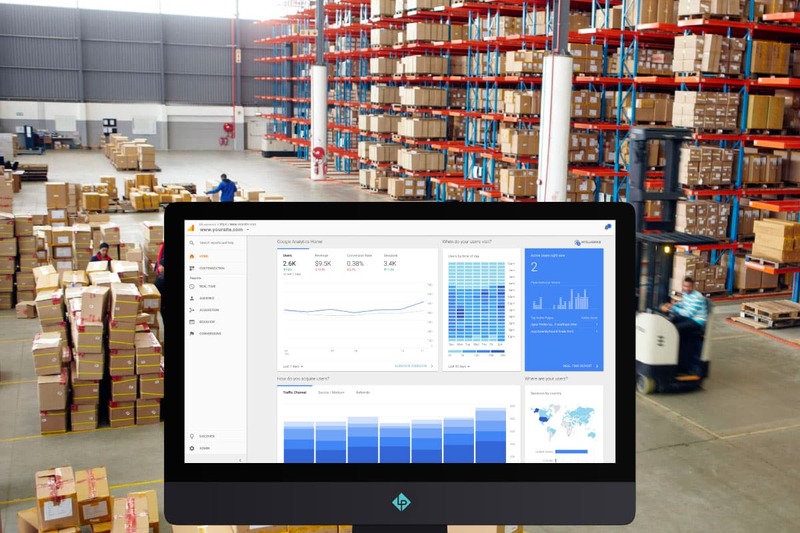 This kind of software can help ensure you’re never understocked or overstocked, keeps a pulse on your inventory, compiles real-time data, leverages valuable insights to grow your business, and syncs your inventory status across all your selling channels. Inventory managements can often feel like a balancing act. On the one hand, you don’t want too much stock because it will cost you. But on the other hand, you want to have enough stock available to meet customer demand. It’s imperative you make data-driven and informed decisions, use historic sales figures, and industry trends to guide you. By following these 18 steps, you can establish an effective and secure inventory management practice, which will help your business boost sales and bottom line growth. Are you running an eCommerce business? Let’s connect. If you think your current solution is outdated, or would like to work on streamlining and increasing your sales, we have a team of experts who know exactly what you need. Fill out our questionnaire and someone from our team will be in touch with you shortly.